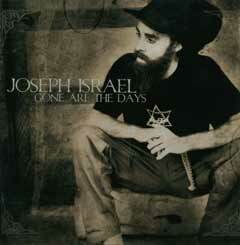 LOS ANGELES—If ever there was proof of the universal power and appeal of reggae music, it’s Gone Are the Days, the striking debut album from rising reggae star Joseph Israel. Featuring sweet reflections of love, gripping, headline-torn news reports, moving tales of spiritual awakening and affecting calls for unity, Gone Are the Days is the first album from the Tulsa, Oklahoma-born, Arkansas-based singer, whose voice has for the past three years teetered on the edge of broader recognition. Recorded in Kingston, Jamaica, at the fabled Tuff Gong studios (birthplace of iconic albums by Bob Marley and his sons), as well as Shaggy’s Big Yard Studio, among others, Gone Are the Days features the stamp of approval from some of the genre’s heavyweights: The disc features collaborations with leading second-generation roots reggae artist Luciano (“Ruff Times) and Mikey General (“Universal Love”), as well as the smooth voices of Erica Newell and Rochelle Bradshaw (backing vocalists for Ziggy Marley and Luciano, respectively). To be released on iTunes.com Tuesday , September 26th (in stores Jan.2007) by New Door Records/UME, the 15-track disc also finds Israel, who has toured nationally with Luciano and Abijah, backed by a litany of top reggae musicians, including saxophonist Dean Fraser, lead guitarist Earl “Chinna” Smith and bassist Chris Meredith, who co-produced Gone Are the Days with Israel. For Israel, born Joseph Montgomery Fennel, the disc represents the culmination of a lifelong fascination with the culture and music of Jamaica. It represents his strong belief in Jah (Yahweh) as the almighty God, and comes after countless sojourns to the island country to study the faith, music and culture.